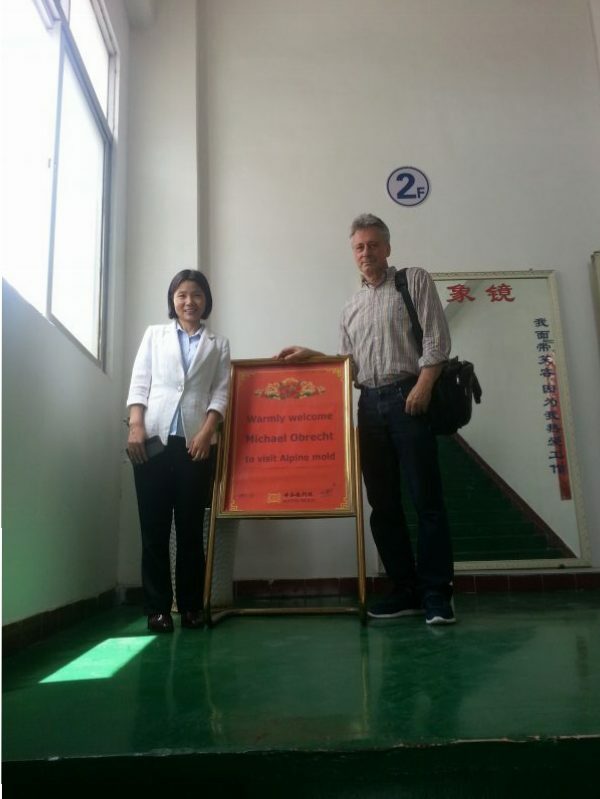 Siborg visited China in May to make local connections for manufacturing parts of their future LCR-Reader models. During the trip, Siborg established a new sales office that will cover all of China and Southeast Asia. Michael Obrecht met with Andy Leman, an entrepreneur in Baoan, Shenzhen, and had a series of meetings and discussions. 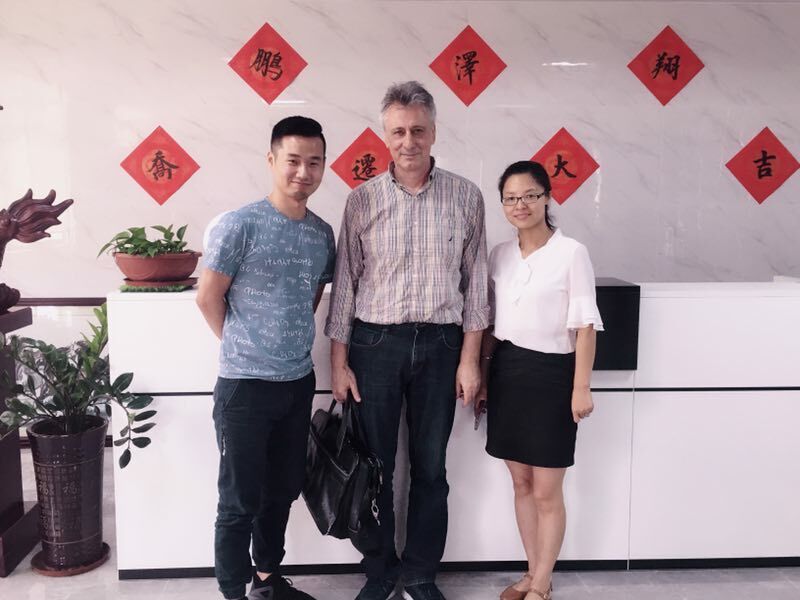 Together they also met with Shenzhen Polytechnic and Southern University of Science and Technology where Andy was appointed as Siborg’s representative in China. He will be the primary distributor of Siborg’s test equipment and educational software MicroTec Semiconductor Process and Device Simulation Software. Michael met with Shenzhen HTX Precision Hardware Co. about manufacturing parts for a new model of LCR-Reader-MP. He also met with a few PCB companies, includng ChinaPCBOne. ChinaPCBOne is a full cycle PCB manufacturer and assembly provider. Other companies included Shenzhen Eastwin Ltd., Wanfeng Circuit Co., and Shenzhen Sunsoar Circuit Co. Each of these companies showed great efficiency as proven with their 5-7 week lead time. Though the latter 3 subcontract their PCB manufacturing to other companies. Siborg also visited with plastic mold manufacturers all of which provide a highly flexible arrangments for plastic part manufacturing for a new MP model. These companies included Alpine Mold, Dongguan Hensim Rubber & Plastic Technology Co. and Shenzhen Lafer Technology Co. Each company has their strengths, but Dongguan Hensim showed the most advanced manufacturing capabilities. The initial decision between companies will be decided on cost, which in the end, will benefit the customer. Manufacturing Today held and interview with Michael Obrecht, the director of Siborg Systems Inc. about the future of LCR-Reader and Siborg’s software division. The interview will be published in Volume 18, Issue 3. Obrecht spoke of a new model of LCR-Reader that will launch in the summer of 2018. This new model is a refined version; “It will be a much more powerful multimeter, less bulky and more fine tuned. We have improved on the LCR-Reader’s appearance, performance and functionality.” The new model will have a higher price than the LCR-Reader-MP, but will have better functionality, including a three-volt LED test, one-volt signal component testing for ceramic capacitors. Obrecht also mentions that the new device will have a lower signal-to-noise ratio, this is helpful for improving accuracy while testing lower value capacitances and inductances. Used in over 100 universities and 35 companies worldwide, MicroTec is a robust process simulator that is computationally extensive for simulations for power semiconductor devices with large dimensions or solar cells. It includes 3 main software tools: SiDif for 2-D simulation of implantation, diffusion and oxidation; SemSim for steady-state 2-D simulation and SibGraf for 1-D and 2-D graphics. The product’s staying power is that it can perform with very little RAM and is more robust and faster than similar programs. 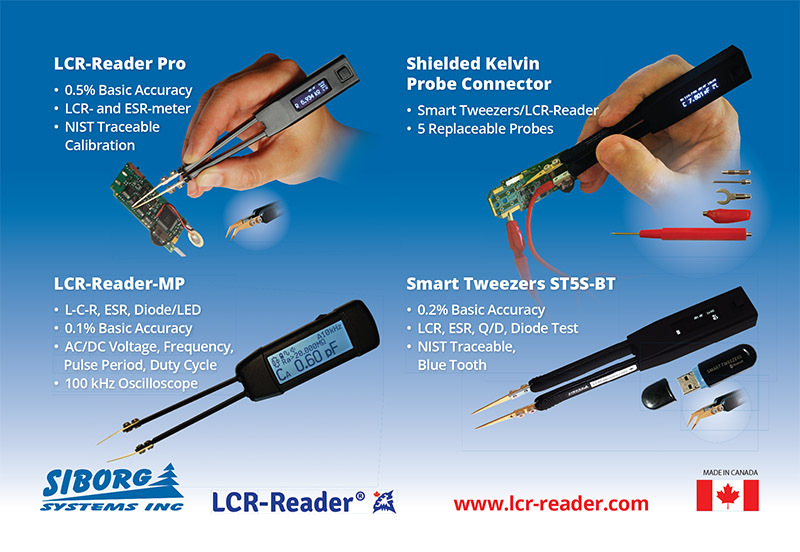 Siborg is currently offering a sale on all LCR-Reader, LCR-Reader-MP and Smart Tweezers devices in the LCR-Reader Store.